Each week, Epic Games offers Fortnite players a new set of challenges and with Season 6 continuing to chug along, week 4's challenges are now live to get started on a simple kind of grind. It's time to get back into the battleground for a chance to show off to those other players your skills and uncover new Battle Stars, all the while fighting for that delicious Victory Royale! As with previous weeks, completion of the challenges offers a hidden Battle Star and unlocks a sweet reward. To help make sure you get that sweet, sweet pay off, here's the best way to tackle that hidden Battle Star. In the loading screen below for this week, you'll see a Llama Banner just behind the girl to the right. This is our first hint at the location. 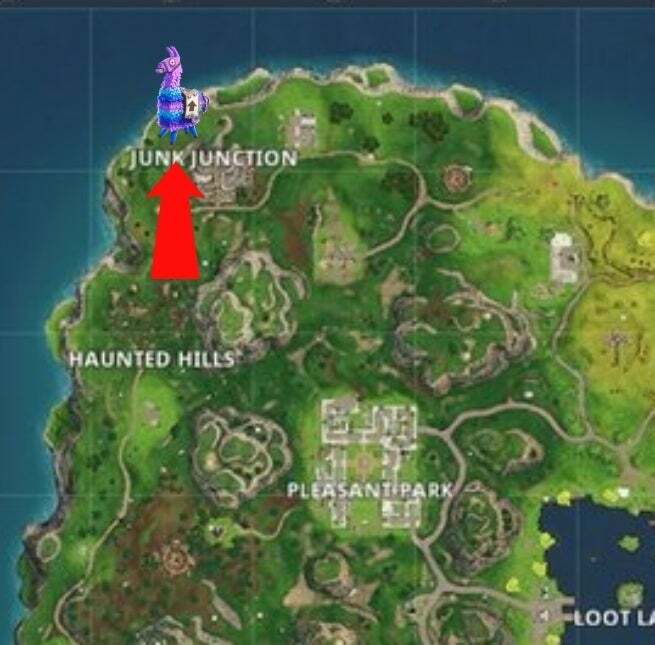 In order to get that reward, you're going to need to head to the humungus llama satatue that is by Junk Junction, near the the north-western part of the map right on the water's edge. Drop into this location, walk up to the Star, and interact to claim it! Fortnite is now available for Xbox One, PlayStation 4, Nintendo Switch, PC, iOS, and select Android players. Are you ready for a new week of challenges? Sound off with all of your thoughts regarding Fortnite and the Battle Pass challenges in the comment section below! "Season 6 arrives in Battle Royale and brings new goodies with it! Uncover what’s in the new Battle Pass, explore an updated island with Pets, and become one with the shadows with a new consumable. Join in on the Cram Session mini-event in Save the World and learn more about a new enemy that has appeared from the Storm."